boba Baby Wrap, Vintage Blue Limited Edition - EcoBaby Gear, Inc.
A fantastic Boba 95% cotton, 5% spandex Baby Wrap for little ones ages newborn to 18 months. 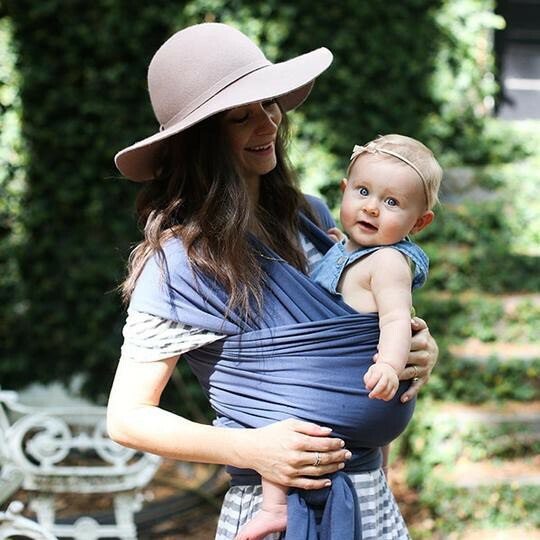 A snug way to wear your baby close to you, without straps or buckles! The wrap folds away conveniently when not in use, and it's perfect for breastfeeding. Includes a booklet with wearing options and instructions. We have a variety of carriers to try on in-store in Portland. Come see us to find the perfect fit and learn how to wrap your little one!